A cute fishbowl with three happy residents for puzzle play. 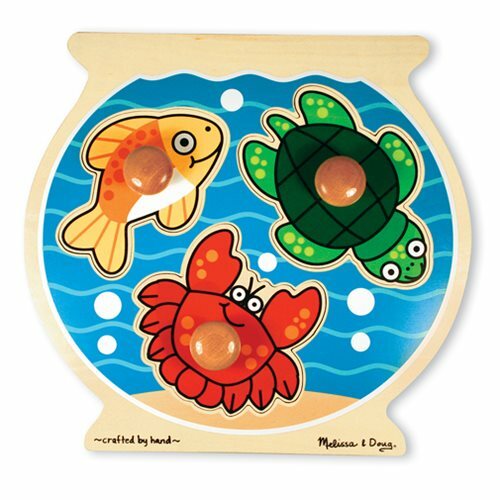 This extra thick 3-piece wooden puzzle includes a fish, a turtle and a crab, each with jumbo wooden knobs for easy grasping. Full-color, matching pictures appear underneath each piece. A great activity to encourage eye-hand and visual perception skills. The wooden board measures 11 3/4-inches wide x 11-inches tall. Ages 1 and up.